Nov. Tuesday 29, 1864 Independence Iowa There has been considrable of farmers in town to day there has not been any snow or rain to day. I set up with Sye Hayzes to night I work 12 hours to day. 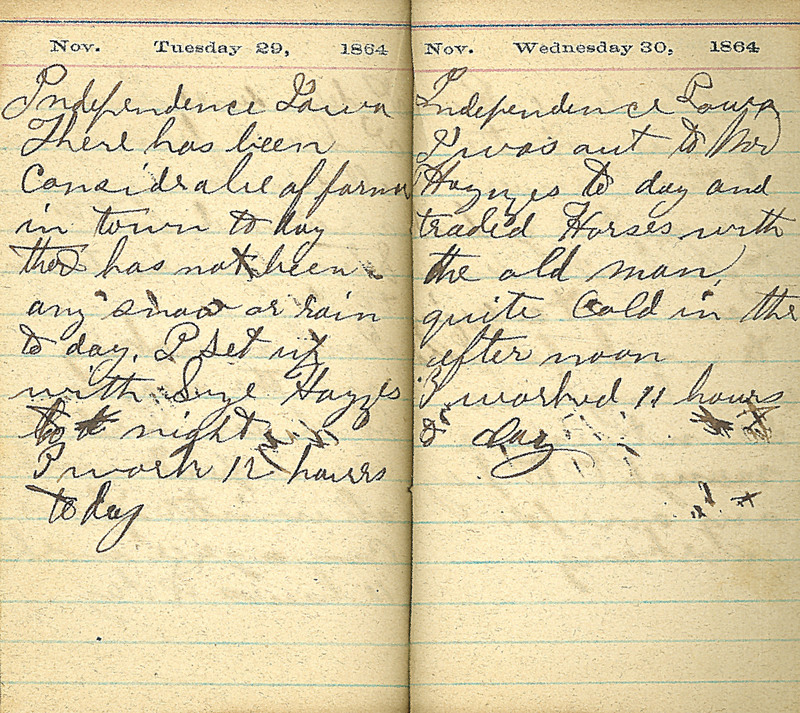 Nov. Wednesday 30, 1864 Independence Iowa I was out to Mr Hayzes to day and traded Horses with the old man. quite cold in the afternoon. I worked 11 hours to day.